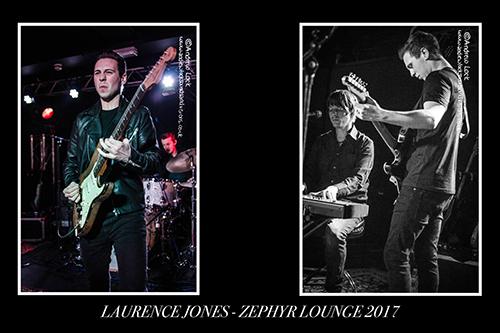 One of our very best local blues men Laurence Jones is back on home turf this May when he performs at The Zephyr Lounge on Friday 4th in conjunction with Planet Rock (a fine radio station and magazine it is by the way) and it is a sign of how well he is doing that they are on board. He is sure to treat us to a selection from his recently released (would you believe it!) 5th studio album The Truth as well as fan favourites from his rapidly growing back catalogue. Last year at the same venue he was simply stunning and he also supported Kenny Wayne Sheperd later in 2017 at The Assembly (unfortunately I was unable to charm my way into covering that one!) and I love it that he regularly continues to include local shows in his gig schedule and long may this continue. For those of you that have seen this amazing guitarist/vocalist and his band in action I am preaching to the converted but for those that have not had the Laurence Jones live experience treat yourself to a night of top quality modern blues from one of the stars of the genre, and yes for me he is still getting better all the time. The photos are a couple of my unpublished shots from that amazing Zephyr Lounge gig last year and I have kept back what I think are a couple of crackers for my exhibition this year.